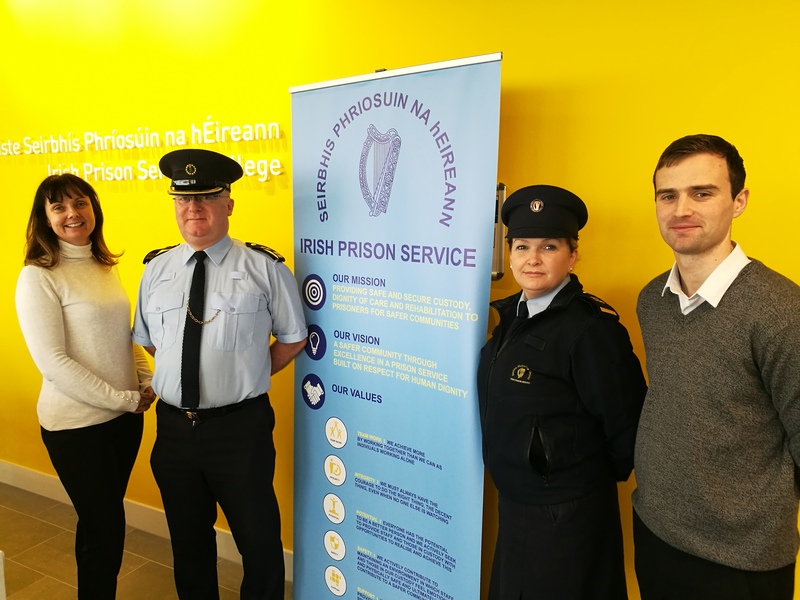 Pictured are members of the proposal team, left to right: Dr Fionnuala Brennan, lecturer WIT and proposal lead, Chief Officer Raphael O'Keeffe, Irish Prison Service, Sylvia Flynn, HCCC Co-ordinator Irish Prison Service, Cathal Ryan, HCCC Project Manager, WIT. Waterford Institute of Technology (WIT) and the Irish Prison Service have been awarded funding for their proposal ‘Every Contact Counts, Building Teaching & Learning Capacity on the Higher Certificate in Custodial Care’. Minister of State for Higher Education Mary Mitchell O’Connor announced the funding awards for the Enhancement of Teaching & Learning in Higher Education in December. Three projects connected to Waterford Institute of Technology (WIT) were part of €1.65m in funding announced. The ‘Every Contact Counts’ was successful under the category for programme-level projects enabling teams to build knowledge, skills and competence in teaching and curriculum design. He added that the feedback from course participants has been very positive. “The funding presents an opportunity to reflect on the quality of the Higher Certificate in Custodial Care and to strengthen our relationship with Waterford IT in delivering an even better programme to over 200 prison officers a year, over the next 5 years,” said Clarke. The HCCC is a bespoke programme, breaking new terrain and bringing together an interdisciplinary teaching team of third level lecturers and Irish Prison Service Tutors. This funding is awarded through the National Forum for the Enhancement of Teaching & Learning and will enable the professional development of staff and students on the HCCC. The National Forum for the Enhancement of Teaching and Learning in Higher Education supports institutions and their staff to enhance the learning experience of all students. This funding complements the Higher Education Authorities Innovation & Transformation Fund.